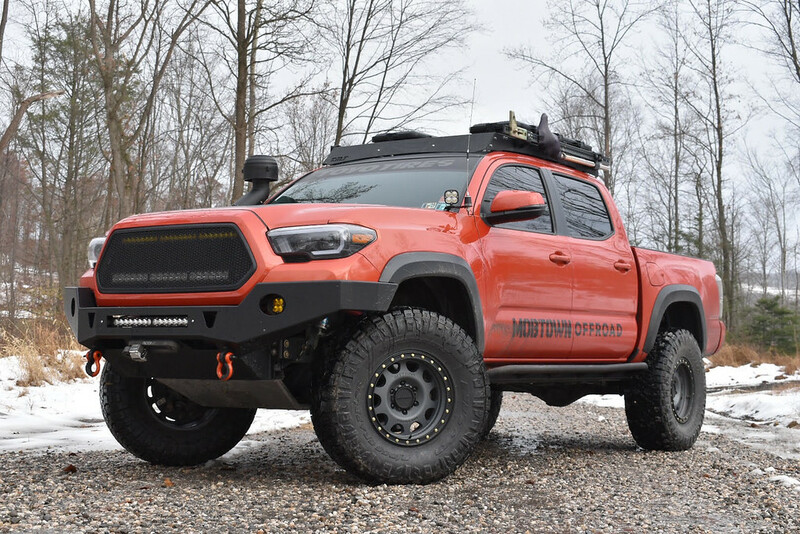 Discussion in '2016 + Toyota Tacoma' started by jacob13, Feb 8, 2019.
laarpr and texasred like this. I have four..... if your talking about those Goodyear Wrangler Duratracs. The bumper and such, no. Cape taco, Spiff215, texasred and 1 other person like this. I have a Tacoma! It's AWESOME!!! Cape taco, laarpr, Atomic Diesel and 6 others like this. Cape taco, laarpr, Atomic Diesel and 4 others like this. That's what I figured. I was just messin with ya. Haha! Cape taco, Atomic Diesel, n7narcosis and 2 others like this. Welcome to the Tacoma forum! I would also like to know if anybody has this aftermarket bumper as well. Looks great any info on aftermarket Fab bumpers would be awesome. Dealership said it would expire my warranty on the bumper and anything effected by it. Cape taco and Scott Wyman like this. If I was gonna go with an aftermarket front bumper, this would be at the top of my list. Cape taco, JonRod, TacoDenver and 1 other person like this. Cape taco, JonRod, B-Man and 1 other person like this. WooD and B-Man like this.